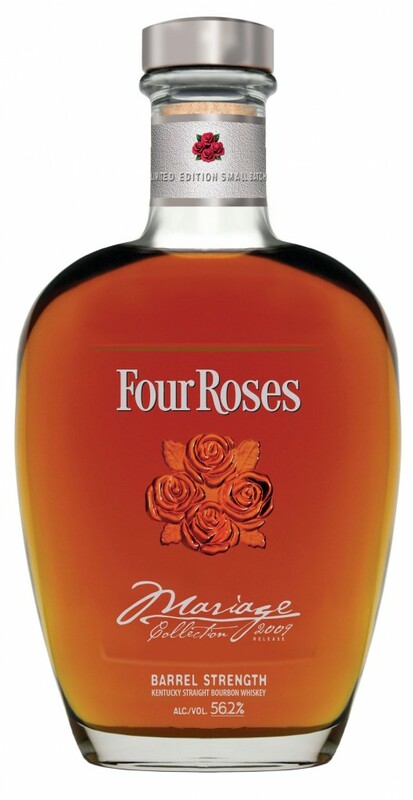 Four Roses Distillery will release the second in a series of limited edition, small batch bourbons this September at the 2009 Kentucky Bourbon Festival. Hall of Fame Master Distiller Jim Rutledge has hand selected and artfully married two bourbon recipes, never before combined, for the exclusive Mariage Collection 2009 Release. It includes a 19-year-old and 10-year-old bourbon from one recipe (coded OBSK), and a 10-year-old bourbon from a different recipe (coded OESO). For more information on Four Roses’ 10 distinct bourbon recipes, visit this link.